Laphroaig is unabashedly Islay. Its intense peatiness, maritime character, and (to some) off-putting medicinal bite are hallmarks that are present in every bottle. 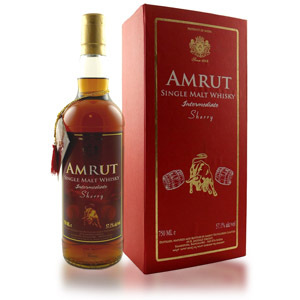 It was my “first love” in single malt, really in whisky period. That first dram of the 10-year was eye-opening. Smokey, woody, sweet, powerful. I woke up the next day tasting it on my lips and smelling it on my breath. To me, any peated malt must necessarily be compared to Laphroaig. Today I’m trying the Quarter Cask expression, a younger peated malt (5 years of ex-bourbon maturation, plus an additional 7 months, approximately, in tiny “quarter casks” custom-made for this expression). The “finishing” in quarter casks gives the whisky far more exposure to wood than normally happens in larger standard casks. In addition, this expression is bottled at a higher 48% ABV and without chill-filtering (yay!). Nose: Classic Laphroaig. Up-front is smoldering seaweed with briny notes of coastal thunderstorms and tidepools. 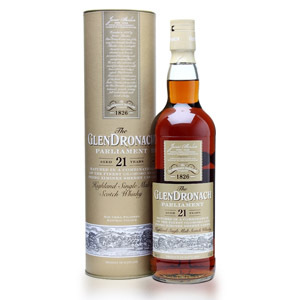 A woody sweetness, like boiling maple syrup, pervades the nose and elevates the peat smoke. Hints of barbecued short-ribs, glazed ham, and applewood-smoked fish. The 48% ABV can be felt in the nose-prickle. Deeper exploration reveals white chocolate chips, freshly-baked sugar cookies, and even deeper in some extinguished campfire (wood char). A few drops of water bring out some faint dark chocolate and toffee. Palate: Medium bodied – not watery, but also not chewy or oily. Right away there is big peat, in that briny, smoked-fish style. Smokehouse fumes, sugarcane, vanilla extract, and a pervading young woodiness – freshly-hewn green wood, dripping sap. A few drops of water brings an elevated sweetness to the mix, with more maple syrup, vanilla, and raw cane sugar. Finish: Long. Initially there is lingering peat, salt water, which yields to vanilla and a very drying oak tannin, which fades into bitter spent wood and green sap. The peat doesn’t stay around as long as it does with the 10-year old. Water brings out the sweet notes and marries them perfectly with the peat. I recommend a few sparse drops. This dram is much more complex than the standard 10-year Laphroaig, and, interestingly, less intensely peaty despite its younger age. There are several layers of oak flavors, ranging from the early sweet vanilla, through the earthy woody midsection, to the bitter sappy finish, which interplay very well with the usual Islay peat – complementing it and taming it slightly. I generally dislike drams that attempt to blend big fruity sweetness with peat, or bone-dry asceticism with peat, and this falls nicely in the middle. It gives you something to ponder, whereas the 10-year just gives you something to drink. It is, however, pricier, and that extra $14 isn’t always going to be worth it, especially if Laphroaig 10 is already part of your daily dram rotation. Acquired: (Bottle): Gift (Christmas 2010) Thanks Louis and Barbara! Someday, Louis, I’ll hand you a dram after sneaking in a few drops of water, and you’ll say something to the tune of “wow this is better than the last time I had it”, and I will laugh – heartily. Someday. Maybe on your yacht. hi! just wanted to share a newbie experience from nagaoka, japan–and to invite some input on matters of relative price/value. it’s only this year that i found myself developing the desire/ability to drink scotch whisky. as it is, i am well-placed in japan, given my love of sake (and belgian beers, when i can find them). still, i recently heard the call of the loch, and i tried a few inexpensive blended malts (japanese expressions–technically not scotch whisky, i know–as well as johnny walker red and white horse. 2 weeks ago, i tried my first single malt scotch whiskies at a bar. what was the first one i tried? none other than laphroaig quarter cask. if memory serves, i also sampled bowmore 12, lagavulin 16, and macallan 12, but the only one that really left a strong impression was the laphroaig–and a very positive impression it was! it may well be that my timing was quite poor–i had just come from a 2-hour all-you-can-drink affair, and leading off with a relative peat monster may have ruined me/my taste buds for what followed–but it was perhaps also fortuitous. long story short, the dram somehow managed to be just what i had imagined it would be (after reading copious tasting notes and reviews) and just what i was looking for. fast forward 2 weeks, to 2 days before my birthday. i had scouted out local shops to see what i could see, and i had found laphroaig 10, bowmore 12, and macallan 12 (i know, a speyside, not an islay–but one of the few bottles i found with decent reputation from what i had read so far), but little else among SMSW. moreover, all were available in both 700 (or 750) ml as well as 350 ml bottles, so a tasting of several expressions sounded like a distinct possibility. yesterday, i finally hit up a local liquor store that i thought might have more on offer. bottom line: it did, and at better prices. i was, in fact, faced with a dilemma: laphroaig 10 or quarter cask? in the end, i opted for quarter cask, as: a) it was less expensive; b) it was less available; and c) i could always try the 10 yo for less money via a 350 ml bottle. i’m a novice, and i can offer little or nothing in the way of tasting notes, except to say that, after a bit of experimentation, i found that a couple of drops (literally) of water did, indeed, seem to “open up” new vistas of nose and palate (or open the door to such possibilities) on the second “dropping”: i finally sensed something like sweetness or a floral quality somewhere in the murky background (or was it the loch ness monster?). also, i followed some advice i had read somewhere about small sips and taking one’s time, and that did seem to heighten the experience. (my wife as shocked when i went upstairs to a quiet nook of the house, came down 30+ minutes later, and announced that i had enjoyed all of ONE dram of the good stuff). Brian, Thanks very much for your comment! Glad to hear from another ‘newbie’ in the Scotch world. I, too, awoke to the wonders of Scotch via the charms of a Laphroaig (the 10 year). Even months later, after sampling almost 50 different whiskies (not that much compared to true connoisseurs), I still marvel at the complexity, intensity, and subtlety of that particular Islay malt. As far as price goes, you are correct that the QC ought to be cheaper, as it’s only a little more than five and a half years ‘old’. Here in Northern California (and a few other places I’ve checked in the U.S.), the QC is $5 to $10 more than the 10-year. I have to wonder if the reason is partially marketing. The 10-year is the brand’s flagship expression, and tends to garner a lot of attention. By lowering the price ($33 is the lowest I’ve seen, and is quite a good deal) they may be trying to drum up new devotees. Even though the QC is younger, it might be seen by the marketers as an embellishment on the main theme, and thus worth a bit more. In the U.K., the prices are a little closer, with http://www.masterofmalt.com charging only 2 GBP more for the QC, and http://www.lfw.co.uk charging 1 GBP less! In/re pricing. My all time favorite dram is Lagavulin 16. In Michigan, where pricing is regulated by the State, State minimum is $89 & change. I’ve seen it in Florida (several years ago) for a bit over $100 and have paid only $57 in Hawaii (where every other scotch was the same or more than Michigan prices). It pays to shop. I suspedt taxes as the culprit but would really like to know what Lagavulin charges as the bottles go out the door. As for the drams mentioned, I much prefer the Laphroaig Quarter Cask over the 10. In fact, the 10 is my least favorite of all Laphroaigs I’ve tasted. That said, I would never turn down a dram but, we do all have our preferences. @TK, Indeed, I have seen wildly differing prices across the U.S., and without much pattern. Laphroaig in general seems to be much more expensive on the East Coast, whereas I’ve found very good deals on bottles of other malts in the $70-$90 range in New England. Some of it might be taxes, but I suspect that more of the difference is caused by the multitude of middle-men involved in the importing of spirits. From duty exports from the U.K. to various shippers, importing firms, distribution companies, resellers, and of course retail shops, prices seem to be capable of 40-50% variance across even the single U.S. market. If only direct importing of personal-use spirits from the U.K. were simpler and more direct, we might get some relief. As far as Laphroaig 10, I agree that it’s a “love it or hate it” type of dram. I used it to introduce my friend Mike to Scotch, and he hated it. Luckily, he found some Macallan 12 and realized that Scotch didn’t all taste like burning tires. 🙂 For that matter, I’ve had people tell me that they enjoyed drinking Loch Dhu, so I guess there really is no accounting for taste! thanks for the reply! interesting that the price you quote for the laphroaig 10 yo in new england is virtually identical to what it is (or at least what it is at the lowest price i found in my town) here in japan. a quick note: in july, i’ll be blowing through yokohama (i have a gig, singing jazz, every now and again when i’m not teaching university english). i found a place called craft beer bar that is really worth mentioning. although their stated specialty is domestic (japanese) craft beers–with 10 on tap, i think–they also have over 200 (!!!) bottles of single malt whisky on offer. more amazing, ALL of them are priced identically for a dram: 700 yen neat, 1000 yen on the rocks or with soda. this goes from the lowliest exemplars to 18 yo and beyond–and MANY expressions from all the heavy hitters, including signatory offerings and such. i honestly wish i knew scotch better, so i could scoop up the biggest bargains. however, the ardbeg uisgedail (?) was one that caught my attention. hven’t ried any ardbeg expressions yet–or any other islays beyond laphroaig 10 yo & QC, lagavulin 16, and bowmore 12–so LOTS to look forward to. any thoughts on recommended islays or good examples of various styles for a comparative tasting session? incidentally, i’ve found that the laphroaig 10 yo that is available in 350 ml bottles is 40%, while the 750 ml (!) bottles offer 43%. is that the case elsewhere? are the 350 ml bottles readily available? and how common are 350 ml or smaller bottles–or tasting sets–in the states? i’ve seen a nice offering of small bottles of japanese scotch here (hibiki, yamazaki, etc.) of excellent age and quality, but i haven’t yet discovered many small bottles of scotch whisky–which would allow me to try a wider variety of expressions in the comfort of my home! We don’t get very many 350ml bottles in the States, that I’ve seen. They crop up once in awhile, but none of my “regular” stores carries any regularly. We do see a lot of minis (50 ml sample bottles), but generally only for the bigger names like Glenfiddich, Glenlivet, Macallan, and so forth. This is a pity, because locating a bar with a good selection (or a friend with a lot of open bottles) is really the only reliable way to “try before you buy”. As for Islay, be careful with that Ardbeg Uigeadail – it’s one of the peatiest expressions anywhere. Save it for last. (The Ardbeg Supernova is even more so – but getting harder to find). If you can find Ardbeg Corryvreckan at the bar – that’s an excellent dram, and the peat doesn’t knock your head off ($80-$100 US for a bottle). I think Caol Ila 12 is worth a try, although it’s not vastly different than regular Ardbeg. I like Bunnahabhain, although it’s unpeated – it tastes more like a Speysider. I’ve never had Bowmore, Bruichladdich, or the brand-new Kilchoman. Other recommendations: Make sure to try the Macallan 18 if you haven’t yet – it’s practically a rite of passage for Scotch newbies. 🙂 Also make sure to seek out any 10-year-old Springbank, a mildly peated craft distiller from the once-great Campbeltown region. (They also make Longrow, which is the same thing but more heavily peated). Try Redbreast 12 year old Irish Whiskey – personally I think it’s the best Irish whiskey for under $50, and definitely competitive with good Scotch. My only regret is that after 12 years of drinking Scotch, I tasted Laphroaig for the first time just this year…I guess it’s never too late. That said, I immediately purchased a bottle of 10 year and Quarter Cask and enjoy them both immensely! We’re going to put it on sale for our wholesale cost of $51.09. Don’t pass up this chance to experience the awesomeness of whisky made in the most traditional way possible. Cheers! Both will ship to the same US states that ShoppersVineyard will. Cheers! Theoretically, a sealed bottle of whisky (or any spirit above 40% ABV, really) stored in the absence of light and without temperature fluctuations can be expected to remain unchanged forever. Unlike wine, whisky’s high alcohol content makes it extremely stable, and 100 year-old bottles (or more, see the recent press about the recovered Shackleton whisky from the south pole) have been shown to be flawless when opened. Also unlike wine, whisky does not continue to age in the bottle, which means it cannot decline in quality. As per my recent comment (and your reply) on your Bowmore 12 review, I went ahead and picked one randomly…grabbed the QC, and WOW! The Ardbeg 10 almost turned me off Islay, but the QC is fantastic: BBQ rib smoke (not overpowering), and a wonderful palate. This bear further exploration! I’m not seasoned enough to even be considered a noob but I thought I’d share regardless. Instead of just water, I added a couple drops of mineral water. I found that the sodium in the water tamed the ‘medicinal bite’ but turned the ‘coastal thunderstorm’ into a beach walk during a gale. It was like putting salt on chocolate. It was interesting, but I still prefer it the way nature intended, naked. Hi David, that’s an interesting approach. I’ve never tried mineral water with scotch. Thanks for the comment! I have just recently (really only 3 or so months) been bitten by the Scotch bug. And it seems I have been bitten pretty hard. So your site has been really useful. Lots of good info and real talk here. I can already tell that Islay is definitely my preference; so much so that Macallan 12 already seems a bit too sweet to me (not that I would turn down a drink). I’m still very early in the game, but Laphroaig 10 has been my favourite so far. I am sipping on some of the Quarter Cask as I type this, definitely a bit sweeter, less peaty, but also very nice. Looking forward to trying many others… This is an expensive hobby! Thanks for the comment! Several of my Canadian readers have mentioned that provincial liquor stores have astronomic prices on scotch, so you’re not alone. 😉 I have noticed that prices at some online U.K. retailers (masterofmalt.com for example) are pretty good, even with shipping, when you factor out the VAT tax. Of course, running the gauntlet of customs is different in every country, and I have no idea how vigilant Canadian customs is! Canadian customs is not even the issue, it’s the SAQ (provincial liquor board in Quebec) that is the issue. Believe it or not, by law, they are the only ones that are allowed to import alcohol into Quebec. It’s quite the government racket! So all of those online sites with great prices on Scotch and wine are useless to us poor souls… None of them even bother offering delivery to Quebec (if they did, they’d need to go through the SAQ). Alas, I am doomed to over pay for my hobby. Oh well! Funny. I’m sipping on a Macallan 12 right now and have some similar thoughts. A bit sweet, a subtle woodiness, silky texture and as i’m holding it in my mouth i’m wondering if warming this a bit would enhance the experience. However, as much as I am enjoying this my palate seems to enjoy something a little less sweet and a little peatier. Something like the Laphroaig QC. I had a Macallan 12 this summer and I too found that I prefer the peatier Laphroaig. Personal preference is all. The Macallan was smooth, a little fruity but a little on the sweat side. I tried a little mineral water, as I did with the Laphroaig, and found it added nothing positive to the experience. I experimented with a few different mineral/carbonated waters and the Laphroaig. I didn’t find a soda or seltzer that I would repeat. I tried some different mineral waters, Perrier etc… This may sound bizzare but I found a few Russian mineral waters that have a pretty intense “mineralness” to them and in small doses, they really complimented the peaty Laphroaig. At only $5-10 more than the 10 year old, I found this thing to be a bargain in a relative sense – it’s more than $10 better than the already decent 10 year old. 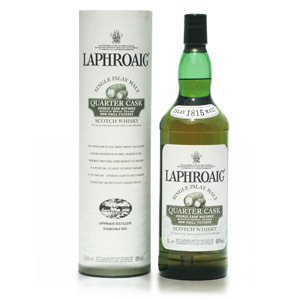 Having now tried the standard Laphroaig 10, the Cask Strength, and the Quarter Cask, I have found the Quarter Cask to be the one I keep coming back to. Powerful smoke, wood, and more smoke. It’s also interesting how the smoke and peat hit me the first time I tried Laphroiag 10 (my first Islay), but after months of sampling other Islays my taste buds must be so conditioned that Lap 10 tastes almost subdued by now! I live in Georgia but visit Toronto several times a year. I officially pronounce Canada as the WORST place in the world to drink scotch. At a bar, the standard pour is 1oz but the prices are comparable to US shot prices, e.g., $15 for a Glendronach 12, Glenfarclas 12 (I was in a sherry mood that night). I hoped I would have better luck at the Duty Free store on the way out, but prices were just as offensive, even factoring in favorable US exchange rates. Sorry, Canada. Looks like you’ll have to stick with Molson and hockey. Do you have a review for the standard Ardbeg 10 Year? I’m trying to decide what to purchase for my next peated malt between the Laphroaig QC and Ardbeg 10. Both are about $50 here in Iowa. I’ve already had Laphroaig 10 and loved it. Actually no, I never got around to reviewing that one. I always felt the Ardbeg 10 was a little overpriced compared to competitive malts, but then Laphroaig is (for some reason) about 20% cheaper in California than elsewhere. If you’ve already had a Laphroaig, I’d say go for the Ardbeg. The Laphroaig 10 and QC are very similar. The QC just has a little “more”. I’m in Australia at the moment and some of the beaches have lots of seaweed on the shoreline, shorn off reefs by coastal storms and rough seas. There is a slightly pungent reek from the seaweed as one walks along these shores at low tide on sun-baked days with salt spray in the air. I do think I might find these elements in a glass of peated, smokey, briny whiskies but will in refrain from alluding to them. Just had my fist couple of drams of the QC last night. Great stuff. This bottle is following a bottle of Glenfiddich Solera. What a difference. Both very good, just in completely different ways. Relatively new to scotch, thanks for a great no nonsense site as a guide. Interesting how prices vary. Here in the Great Plains the best prices I can find on Laphroaig 10-year and Laphroaig Quarter Cask are $42 and $48 respectively. I don’t know which I prefer. For my money, the 10-year is less of a peaty bonfire than the Quarter Cask. I like them both, but since the QC has more alcohol per volume, I don’t consider it a daily dram. Right now I’m nursing a QC pour; on Saturday I think I may pick up the 15-year or the Triple Wood. To me, all other Islays are lacking in comparison to Laproaig, including the favored expressions from the big brands, including Lagavulin, Bowmore and Ardbeg. The Quarter Cask has always been less expensive than the 10 year-old here in Canada, but recently both have leaped up in price, dramatically so in the last few years, and now they are both are equivalently priced near the C$80 mark. Always a fan of the 10 year-old, my preference now leans towards the QC. Indeed. I actually bought a Quarter Cask recently and it was 84 $ in Ontario. A great scotch indeed. Along with Ardbeg too! Bought a bottle today, it was just slightly more expensive than the 10-year. However I do not see the value added, more oak, less smoke, but I prefer the 10-year anyhow. I was wrong. 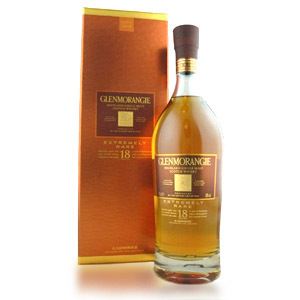 This is really a fantastic whisky, I totally agree now with Scotchnoob. I love the 10 years L but this one is even better.